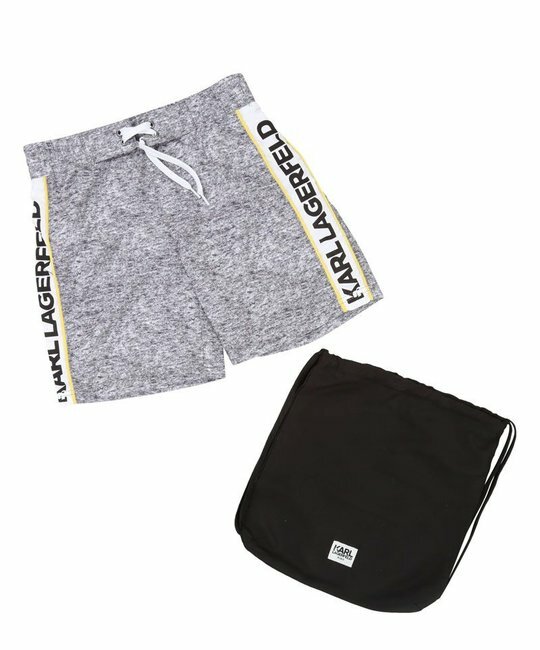 Karl Lagerfeld kids soft grey swim shorts with heather effect, elasticated waist, branded bands on the sides. Sold in a branded dust bag. 100% Polyester. Imported.